Painter of hunting scenes and genre scenes, animated landscapes and animals. Jean Richard Goubie was born on January 12, 1842. He was a pupil of Jean-Léon Gérôme at the Paris School of Fine Arts. He appeared in the Paris Salon between 1869 and 1893, receiving a third-class medal in 1874. 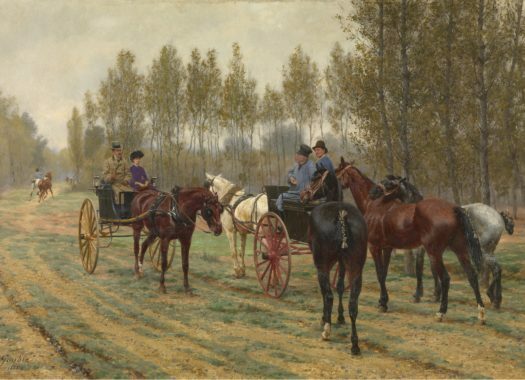 Goubie was well-known for his animated representations of the green countryside, which were much appreciated, especially in Europe and the United States, definitely those in which horses move freely or are mounted by farmers or elegant bourgeois and aristocrats. 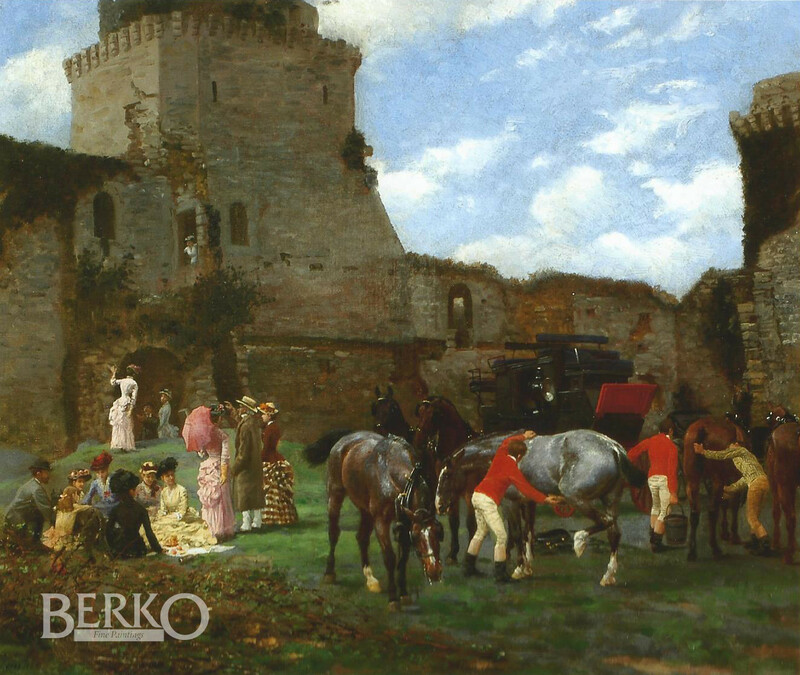 P. & V. Berko, "19th Century European Virtuoso Painters", Knokke 2011, p. 503, illustration p. 326.